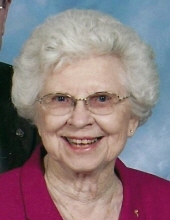 DURHAM: Louise Copley Horton, 96, passed away on Sunday, February 3, 2019 at Carillon Assisted Living in Durham. She was born in Durham to the late William Wade Copley and Maude Nichols Copley. IN addition to her parents, Mrs. Horton was also predeceased by her husband, Norman Tingen Horton; 1 brother; and 2 sisters. Mrs. Horton was a charter member of Braggtown Baptist Church. She retired from GTE/ Verizon as a payroll clerk. She was a 70 year member of the Southgate Chapter #177 Order of The Eastern Star where she held numerous positions from within. Mrs. Horton is survived by her son, Larry Wayne Horton (Pam); daughter, Pamela Kirk (Ronnie); grandchildren, Kristen Sellers (Jody), Ben Horton (Amy), Amy DeShong (Chris); and great-grandchildren, Sydney Sellers, Barrett Sellers, Hayden DeShong, Ethan DeShong, Kayla Horton. A funeral service will be held at 11 a.m. on Friday, February 8th at Braggtown Baptist Church with Rev. Norman Stallings officiating. The family will receive friends prior to the service from 10 to 11 a.m. at the church. Burial will follow the services in Maplewood Cemetery. To send flowers or a remembrance gift to the family of Louise Copley Horton, please visit our Tribute Store. "Email Address" would like to share the life celebration of Louise Copley Horton. Click on the "link" to go to share a favorite memory or leave a condolence message for the family.